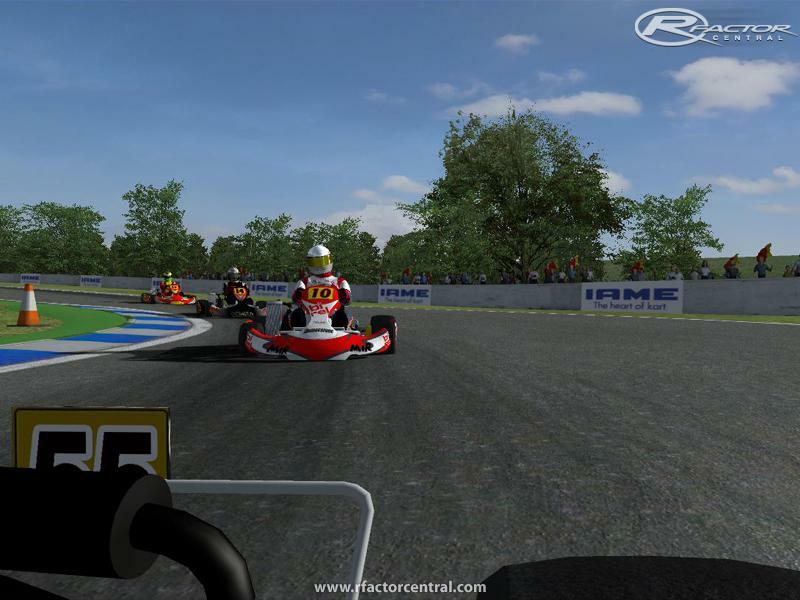 Very realistic karting combination for Rfactor. 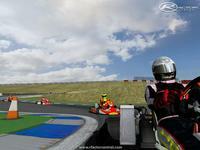 This amazing karting track provide a really authentic feeling, combined with World Karting 2.1. *Not recommended for amateurs. Designed for pilot training. Highly recommend combine with World Karting v2.1 by Slimjim. 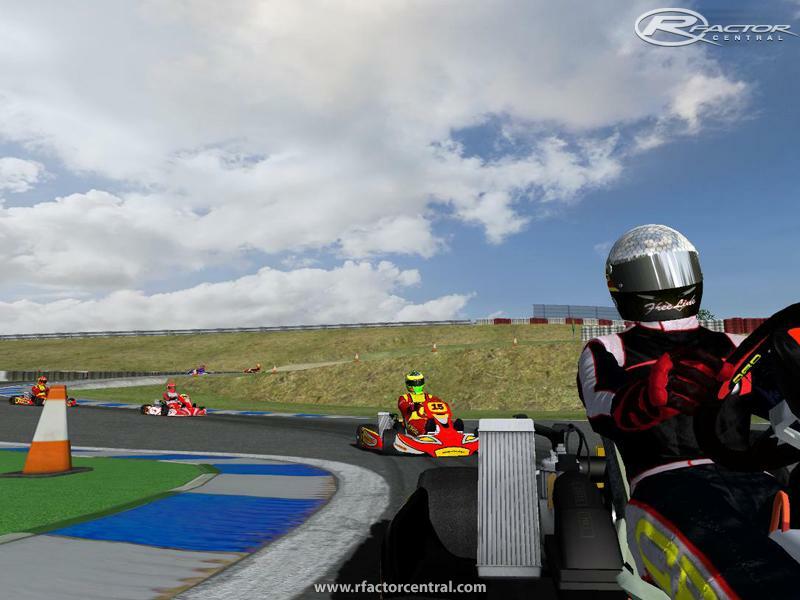 Original desing by Rocana_Nuskooler, for World Karting 2.1, for Rfactor. Used Btb, CS2 and paint :) Conversions allowed if you mention clearly the original designer. terrain, or security issues so I can design curved areas I seem fun or complex. 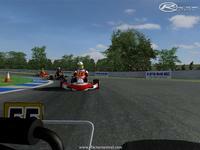 Overall real karting circuits are very flat. And the circuits are not straight, curves have to be fun and technical, and I think that slopes up and down nicely spiced with curves, add more fun to a path. 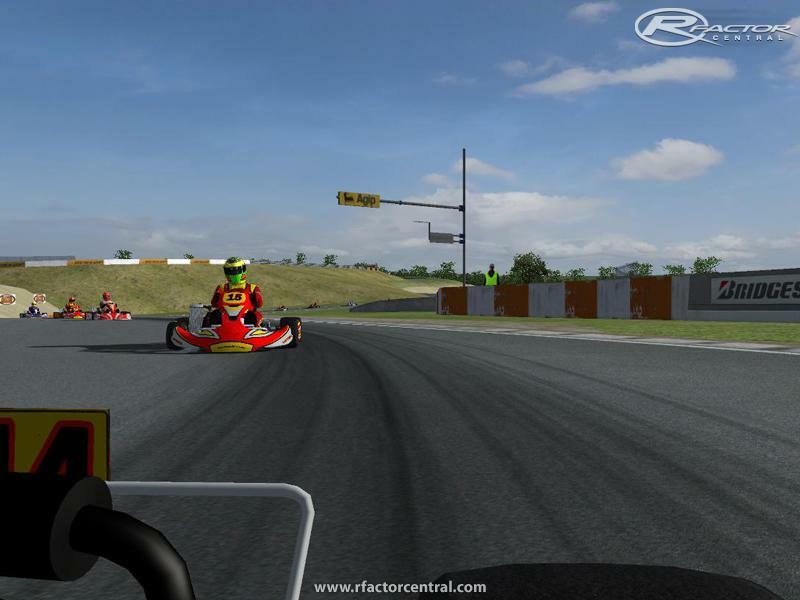 There are currently no setups for Kartodromo Ricardo B Ocana Rabadan. Add a Setup. It was built in 1962 and is one of the first runways in Italy, and later amended in 1985.Pista Azzurra is in the international arena karts true icon. yes it is best to have a rFlite install for your karting mods and tracks. this way you do not need to make changes to your realfeel settings when changing to cars. 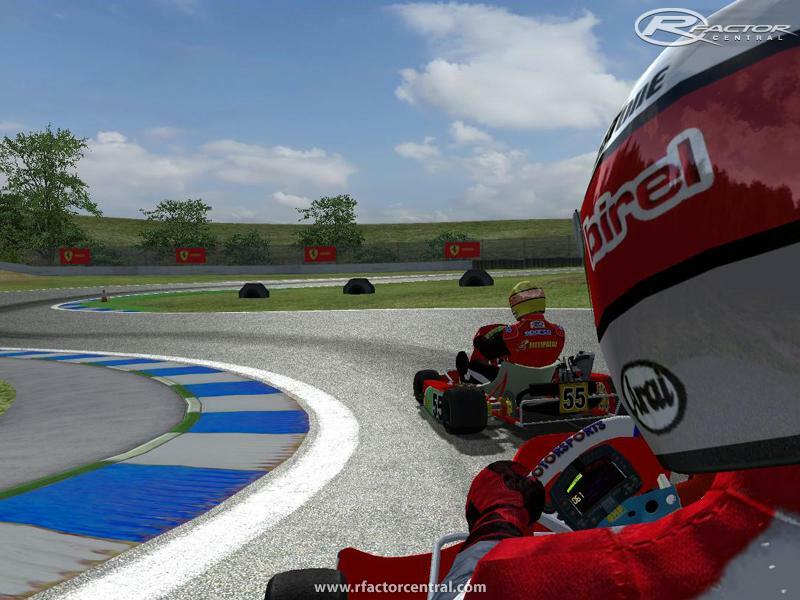 **i recommend install World Karting on a Rfactor Lite instalation, because it spoil my force fedback configuration... Make well ff config, with slimjim indications on world karting page. Better 180º-200º on your steering wheel, 12º-13º on your direction. I usually plays with 540º, but 180º gives better feel. Friends, I've just discovered we mistakenly packaged the wrong track for pro member links. If you used our high speed links or the 1 click utility, please re-download this track. Apologies for that error. This track is amazing! 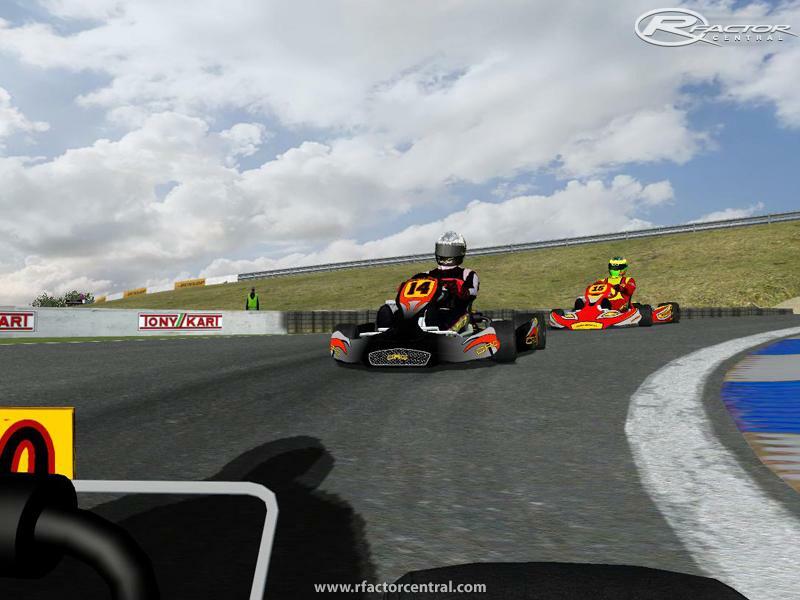 Best kart track i've tried. Thanks for the good work! Thanks you for your comments and your atention. I'm very sure that this karting won't disappoint you ¡¡¡ Actual times are arround 1.07 for rotax(Rocana), and 1:05 for shifter(Oskart) . I hope you will have a nice suffering here, it's a very hard track. Oskart and i were testing the track yesterday and it looks to us very hard, complex, and funny. Oskart didn't want to pass the wheel, so i think it's a very autentic track. Slimjim I think you'll like it. I'm also thinking in convert to kart racing pro. Nowadays everybody is doing a lot of stuff for Rfact. I upload the track on saturday and 5 circuits have appeared until wednesday. I hope good jobs will have enough difussion. So thanks to everybody for enjoy it, it's a lot of work do a track. Also wanna say thanks to Oskart for their honest opinion of my works. Thank you for the kind words, and looking forward to testing this track. and keep your good work! !